Craftsman gave us a sneak peek at a wall decorated with many of their new tool offerings, and I wanted to share some photos with you. Tomorrow is the big media even day, and there will be a lot to cover, test, and ask questions about. I’m sorry, but I meant it when I said this was a sneak peek. Following are the best of the photos that I could snap with my phone. We’ll try to post to social media tomorrow, if there’s anything we think you guys would want to see first. Our more formal coverage will follow after the event. Try and found out some info about their warranties on the new tools that’ll be a major selling point for me. I’ll try to get more details tomorrow. Needing a receipt for the warranty is a bit of a bummer. I know that Home Depot will email receipts if you want. Does Lowe’s do the same thing? That’s the only way I can imagine keeping a receipt for a ratchet or wrenches for longer than a year or two. Get and Outlook email account and the OfficeLens App. It saves everything in and Office Program called OneNote. Has a built in OCR Feature that lets you can all your receipts. Been using this setup for about 5 years now, So much easier. Never save a receipt again, and be able to organize everything. You can print later is needed, though generally I just have to show them my phone. So, whose IP did they license? I have no doubt that there is zero reason for a pro to buy these tools. What is left in the Craftsman name? What is the draw? Why the excitement for second (or third) tier tools on par with what can be found in the harbor freight catalog? So, how do you really feel about it? Andy, I would say Craftsman was never aimed at the pro market. Yes, they did have their industrial catalogue but even then it was not really a first stop for the pro market. Frankly I am surprised SBD has put the effort into the product line that they have. I figured they would concentrate on the mechanics tools since that is where C’man made their mark. Mostly in cost vs warranty. The Craftsman brand was a major player in homeowner equipment. Just like we see in the photos. I think SBDC is smart to position them this way. And the red colour scheme is an eye grabber. As long as they get a good foothold in the mass retailers they will probably do well with the marquee. Bingo. I expect this is being marketed at the same person who buys Ryobi tools. Those who want a little better than Black & Decker/Porter Cable, but not quite ready to spend the money on DeWalt/Makita/Milwaukee/Bosch etc. I wonder if they will phase out one of the lower level tool lines and streamline it. Would make sense for SBD to have one entry-level brand, one homeowner brand and one pro brand. Definitely gonna be hard to compete at that price point. From the initial article Stuart posted it seems they’re doing brushed versions with lower cost and more expensive brushless versions. Thing is, does the Craftsman name mean enough to get someone to buy brushed vs brushless Ryobi? For the home gamer it’s probably not a major factor, but it is a buzzword that people equate to “better”. I hope they phase out the current P-C cordless nonsense and return the brand to what it does best; high quality corded woodworking tools. If there is enough market left for it. As to the Ryobi market, I think this is definitely where it should/will be aimed. To me, SBDC would be completely mad to position the corded and or cordless tools anywhere near DeWalt flagship marketing. Don’t get me wrong, the more upscale brushless models are a smart move. This could appeal to a newer generation who are savvy enough to know what the future of cordless power tools is; Brushless. End of story. And I think the move to red for Craftsman was brilliant. I give Ryobi a lot of grief. And in the old days, it was more than deserved. A lot of their stuff was just awful. Now it is much better(really danged good in some cases) but the ridiculous decision to change over to this neon green, outer space toy gun colour was a guaranteed way to keep it out of serious users hands. With its old rep there is no way I am showing up on a job site toting that stuff. And maybe that is what they intended. On the other hand, years ago guys carried Craftsman stuff all over the place even if most was not aimed at the use they put it to. With this red scheme you will more likely get asked when it came out rather than just laughed off the site. And remember, this is a mass market appeal thing. The guys who shopped at Sears bought the tools, lawn mower, and their kids school clothes with the Sears credit card. This is why you are seeing this stuff at Lowe’s. The card. And if I was SBDC I wouldn’t rest til I had some major placement with Amazon. Same thing. Prime members who are younger couples with kids can use the service to get their goods and maybe chuck in the tools as well. I don’t anyone reaches more people than Amazon these days. Ironically, Amazon is only doing what Sears pioneered through the mail 150 years ago. Too bad they didn’t get on the boat. Plus product ranges such as door openers, sliding doors etc etc. They are literally appealing to every level of tool user in the market place. On close inspection, a lot of the tools are exactly the same specifications just with different branding, that strategy has to take from one to give to another. It’s an interesting comparison to the old days of the AEG brand in Europe, it became so big that it was almost unmanageable, it was eventually broken up into divisions and sold off, so now the AEG Brands is still out there but it is owned by about a dozen different companies, as too happened to Husqvarna. Maybe this could happen to SBD! 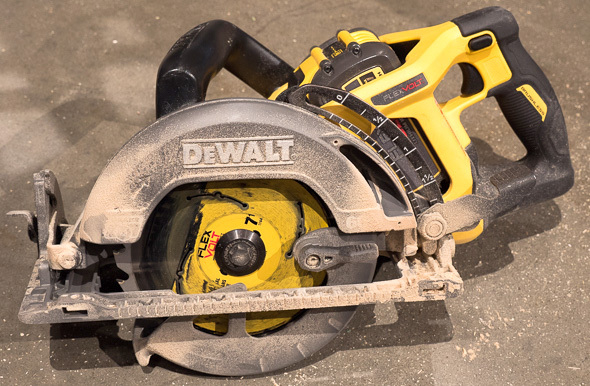 I’m curious if SBD will be dropping a few tools from the DeWalt lineup and shifting them to Craftsman… looks like the dewalt 20v OPE is now in Craftsman red, and (2) if Porter Cable is officially retired/discontinued. It looks like the tools are mostly PC designs with a few DeWalt designs thrown in. It looks like there carry over from the DW OPE & modification of the existing PC stuff. When I was in Lowe’s 2 weeks ago, it appeared that some of the PC stuff was on clearance. I hope for sake of compatibility, the PC slide batteries work w/ the new Craftsman & vice a versa. Porter Cable cordless goes to another retailer soon. PC is going to change retailers. Could you ask whether SBD will bring Craftsman to europe or not? who is the oem for these? Stanley Black & Decker = OEM & owns the Brand. I don’t know why they’re even bothering with battery powered lawn equipment. EGO is and has been at the top of their game killing it in that market. No ones really coming close to their run times or 5 year took warranty and 3 year battery warranty. I’m with you, EGO is the top in that category and that’s why I’ve been saying I’d rather be in the Kobalt 24V line….Chervon makes both tools and they make those tools very well. The Kobalt batteries (with Samsung cells) are a steal. I am impressed with the tool offerings from Craftsman. Too bad they couldn’t get to market before HF released their Bauer brand, now the Craftsmans look like a knockoff of a knockoff tool. Wow. Looks like SBDC is taking the brand seriously fir the home diy crowd which is the correct market for them. Craftsman is an image that is uniquely American and even though it was done no great service by Sears these last ten years, it could gain a decent foothold with a younger generation of marketed correctly. I await Stuart’s postings on this. Looks like SBD is quite serious at Craftsman as a brand. Probably more serious than what they have lined up for their Porter Cable brand. I think that is because Craftsman still to this day has greater brand recognition among average people. Checked out the Craftsman page that includes Press Page with run down and photos of some new stuff. Aside from reciprocating saw blades, razor knife blades and a drill, the rest look like Chinese and Taiwanese tools. Ugh. I’m glad to see SBC is putting in the effort and taking the brand seriously! Ugh power is listed in UWO not inch/lbs.. So far all I see at Lowe’s is China crap and Taiwan semi crap…. Hand tools……give the hand tools time to ramp up US production; I wonder if SBD had to buy up old OEM stock before they could start stateside (if they do). The sheer volume of stuff they’ve announced is insane. Power tools, power tool accessories, power outdoor/lawn tools, gas outdoor/lawn tools, hand tools, storage systems, mechanics tools. Seems a lot to try and bite off right away, but good for them for at least being assembled in the USA. Hopefully the brand name is strong enough still to get a foothold. Makes me glad to be a DeWALT guy in Canada. All this Craftsman/Porter Cable confusion is solved here. Sears is gone, therefore, the licenses in Canada for Craftsman no longer exist. DeWALT has to keep its full lineup if it is to be sold here, and so does Porter Cable. SBD Canada doesn’t have the option of expanding Craftsman here by eliminating other brands. So, if Craftsman is going to be sold here (though I have doubts it will do well at any of our retailers, even the Canadian locations of Lowes and Home Depot.) it will have to have its own lineup, due to warranties of its new sibling companies having to be supported. They can’t, legally, remove the Porter Cable, Stanley, or DeWALT tool from shelves, and replace it with a Craftsman model. It would violate our Anti-Trust Laws. Well I guess your going to be the most surprised Canadian ever when Craftsman hits Lowe’s of Canada in 2019. Porter cable will be non-existent at Lowe’s by 2020 with just battery, charger and special buys. I personally would love to see a review/comparison between Old Craftsman, Late Model Crapsman, and SBDC. The typical Screwdrivers, Sockets, Pliers, Ratchets, and Wrenches. Just thing it would be interesting fodder. Stuart, I have noticed a lot of people talking with authority about Craftsman and Sears, as well as SBD products, when they are clueless about many aspects of the industry. I submit for all that it is better to not post if you don’t really know the details about the subject! Also, while I have an arsenal of Milwaukee M12 and a sizable DeWalt 20 v (18 volt) collection, I wish Craftsman and SBD much success! Like many readers, I do wonder what this means in terms of shelf space for PC at Lowes. Other than some different Brushless designs, a lot ( for now ) is based on PC innards, with re- tooled housings. I work at ” Red Vest”, and I am excited! Cheers! If you’re talking about me, I always appreciate being steered in the right direction. It’s hard to guess about some of the power tools. If there are new vent locations, different fastener locations, or different speeds or power ratings, chances are that it’s not just a “lick and stick” relabeled, but an updated or upgraded design. Some housings can be cosmetically different, but even slight functional differences could mean design work and testing. Looking at the drills, for example, there are very strong Porter Cable resemblances, but there are enough differences in some of the models that they could very well be new designs. 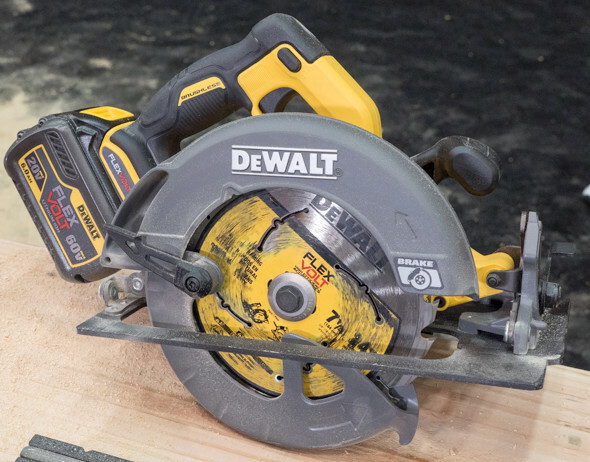 The brushless drill looks to be all-new, with the strong suggestion that it’s based on a Dewalt model, but there’s no way to tell just yet.